Frontboard on the mini downrail. 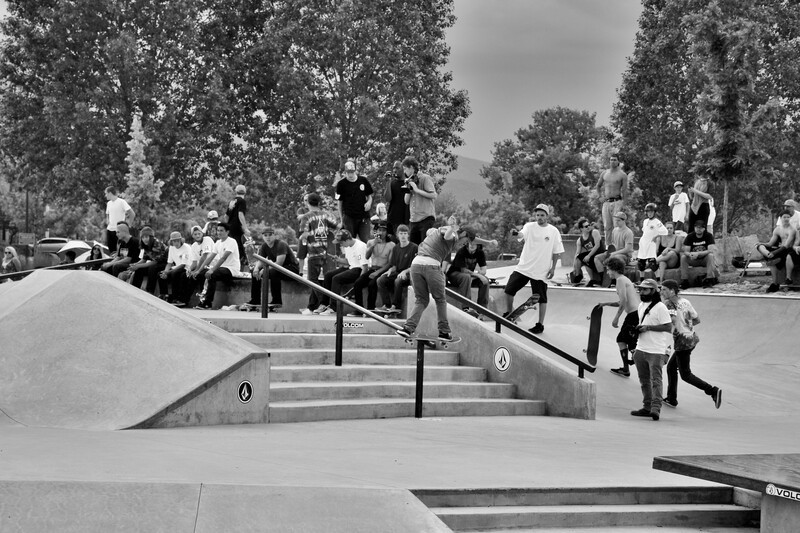 So last Saturday (5/13/15) Volcom’s Wild in the Parks contest came to my home park, Arvada. The day before a bit of the Volcom team came to practice and get clips, and they threw down, that’s always cool to see pros tearing up the place. I was never really planning on competing, like I just wanted to watch everybody in the comp go ham, but later that night my buddy texted me and sort of helped me change my mind. Suddenly I thought doing the contest would so be rad and an awesome experience, and boy that’s just what it was. Phil Hansen aka @nutrash_hansen probably came in first, second, or third. So Saturday morning I get to the park at like 9:30 ish, and it was already super crowded I couldn’t believe it, there were tents everywhere and people were surrounding the park just to watch. I have done the Volcom’s PBRJ events before and it’s really the same setup. Brandon MC’s the whole thing and gets everybody hyped. 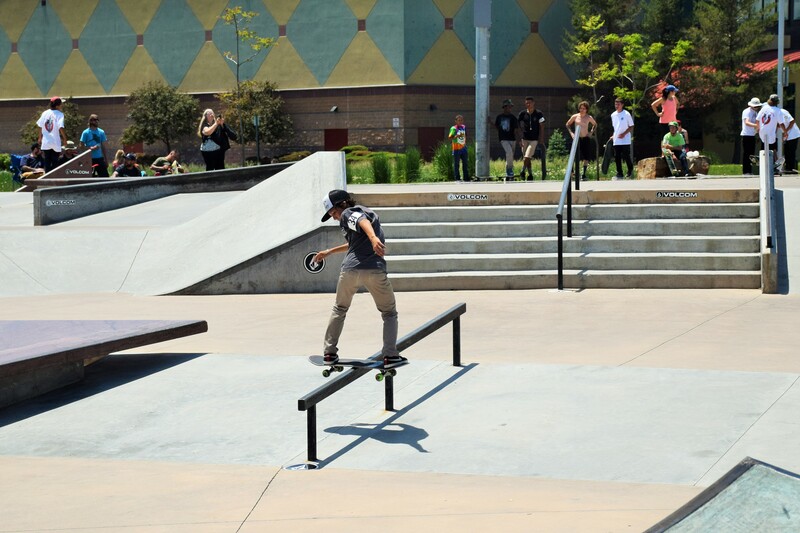 I got signed up and had about 2 hours to skate around and wait to compete. I was riding around doing all my tricks which were didn’t really match up as well as a lot of the other competitors, but that didn’t keep me from having fun. My truck cap ends up breaking, and it was way too loose to ride so I was having a tough time trying to get my tricks down. So they take the top 15 kids overall from our three heats (in 14 under) and to my surprise they posted up the finals and I had qualified 14th and would be skating again that afternoon. I was really surprised that I has even qualified and I didn’t really even have any other tricks to do in finals because I had already done them all in prelims so I kinda had to make up and learn a few tricks. I decided to try a 180 down the 6 stair, I did it a few times but never really put it down solid with a clean ride away. There was also a snake run jam, I threw down a few tricks and before taking a break. A few of my friends managed to place and got invites the The Berrics. I can’t wait till next year’s Wild in the Parks contest, which hopefully will be back in Arvada.